With one jar sold every 2.5 seconds, it’s fair to say we’re nuts about Nutella. Whether you’re spreading it on toast or spooning it straight from the jar, it’s guaranteed to improve your day. 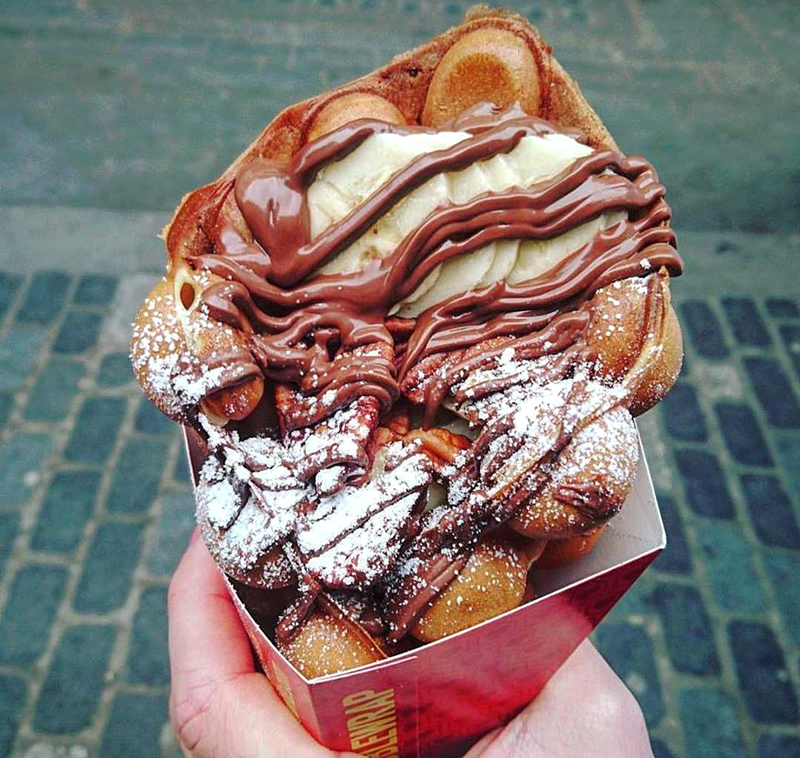 If you’re a self-confessed Nutella addict, here are seven decadent desserts to try in London. 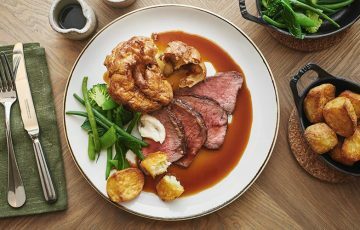 NAC (North Audley Cantine) is a French sharing plates concept and buzzy weekend brunch spot in Mayfair. 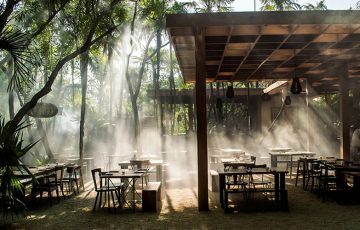 Their fresh seafood dishes, plant-based plates, and colourful salads are great if you’re trying to eat healthy. 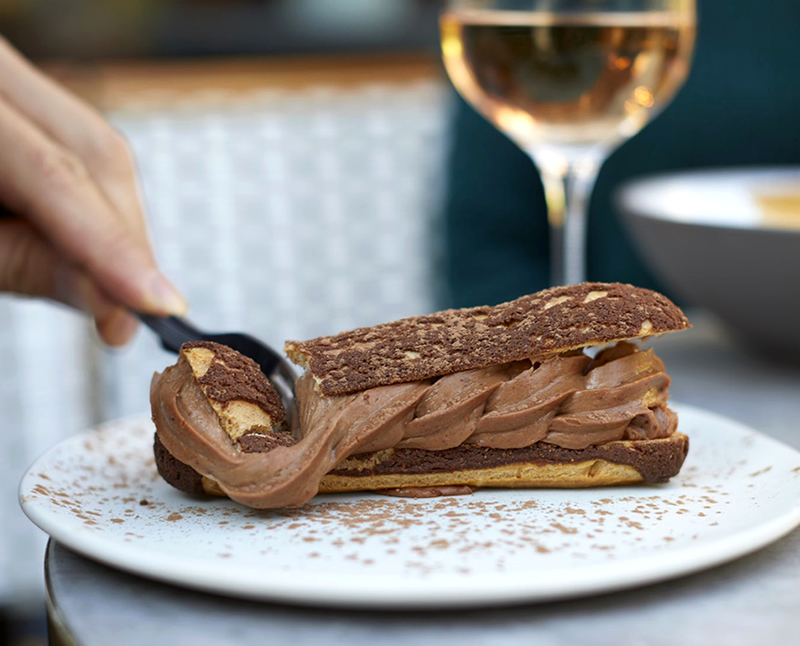 If it’s indulgence you’re after, their new homemade Nutella éclair will definitely hit the spot. This North Indian chop house is best known for its smoky grilled meats and enormous Sunday thali. Regulars also rave about their bread – their buttered naan and tandoori rotis are perfect for mopping up chutneys and dahl. On the dessert menu, you’ll find a sweet version of their naan drizzled with Nutella and served with salted nuts and coconut ice-cream. This Italian eatery on New Oxford Street specialises in tigelle – thin, round breads from Emilia-Romagna that can be stuffed with mortadella, soft cheese, and even Nutella. If you’ve been battling the crowds on Oxford Street or you’re peckish after work, this is the ideal place to unwind with a glass of wine. For dessert, try the gnoccho fritto (a kind of fried dough) topped with Nutella and pistachios. Yes, you’ll have to queue but we promise it will be worth it. 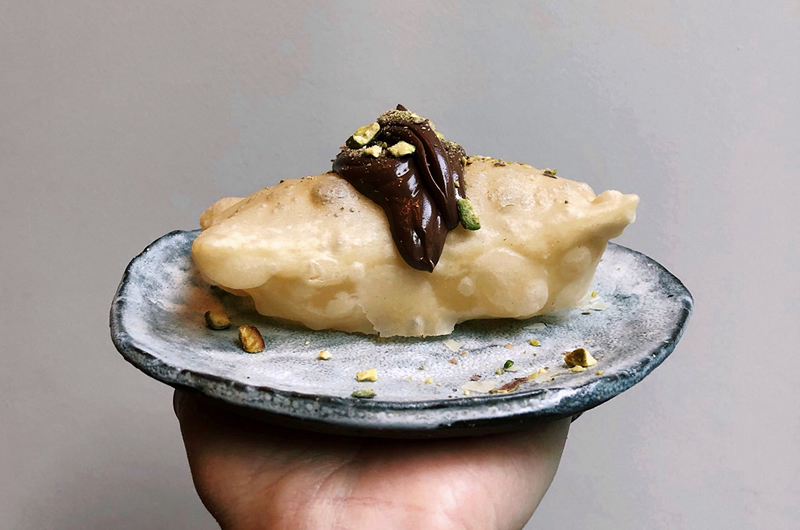 Bubblewrap’s Insta-famous bubble waffles are fully customisable, so you can pile them high with gelato, fresh fruit, nuts, and other sweet treats. 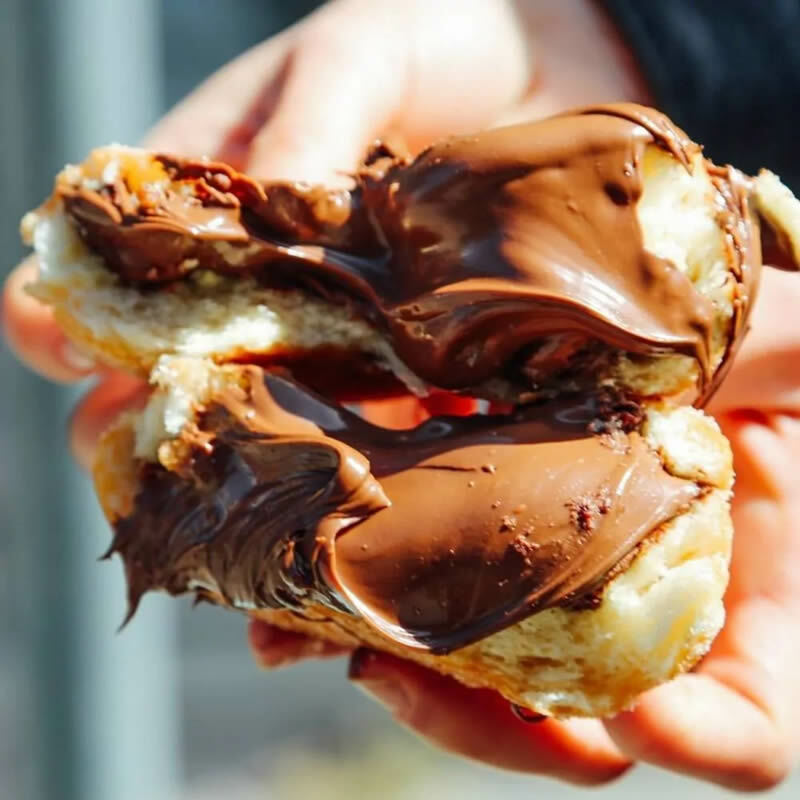 Finish yours off with lashings of Nutella, then snap, eat and swoon. 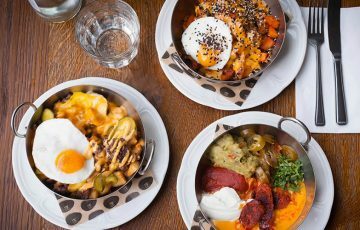 This Covent Garden creperie is an ideal spot for lunch or a pre-theatre supper – it’s right across the road from the Theatre Royal. 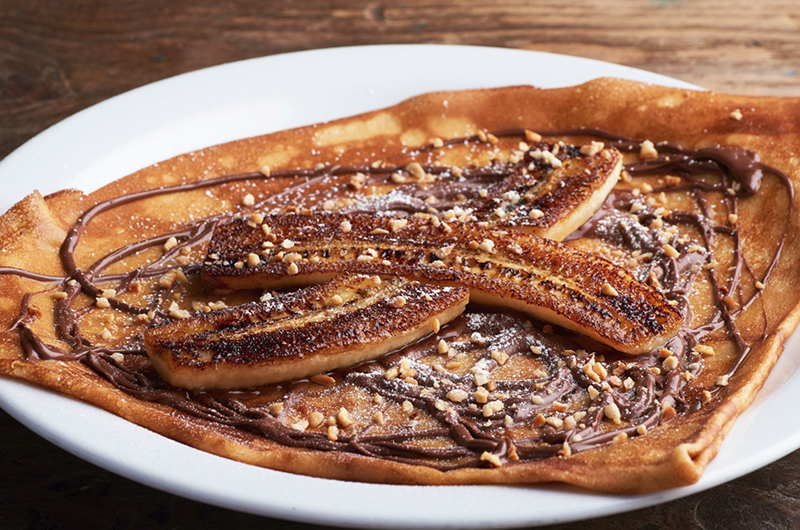 Their galettes are deliciously light and easy on the wallet, so you can treat yourself to a Nutella and banana crêpe for dessert. If banana’s not your thing, try ‘La Henri Dès’ with Nutella, salted butter caramel and marshmallows. Pizza Pilgrims’ famous dessert is proof that there’s always room for more dough. You can demolish a Margherita in record time and somehow still find space for a freshly baked dough ring stuffed with Nutella and salted ricotta. There’s a similar version at Pizza Union with Nutella and mascarpone – an irresistible bargain at £3.20. This doughnut-muffin hybrid is one of the most popular treats on the menu at Bea’s of Bloomsbury. 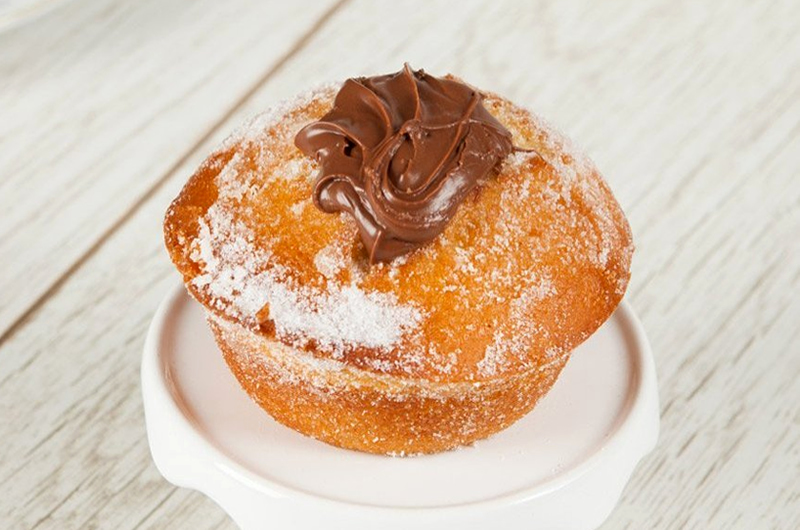 Filled with Nutella, dipped in butter and coated with sugar, the Nutella Duffin is guaranteed to satisfy your sweet tooth. With ten stores across London, you’re never far away from one of Doughnut Time’s incredible hand-dipped doughnuts. 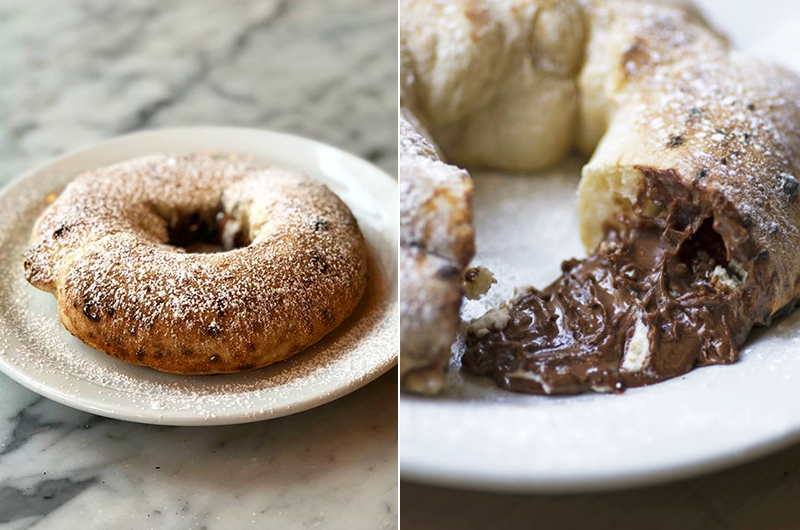 Their signature Nutella doughnut, known as ‘Love at First Bite’, is dusted with cinnamon sugar and filled with more of the hazelnut-chocolate spread than you would imagine possible. It’s a thing of beauty. 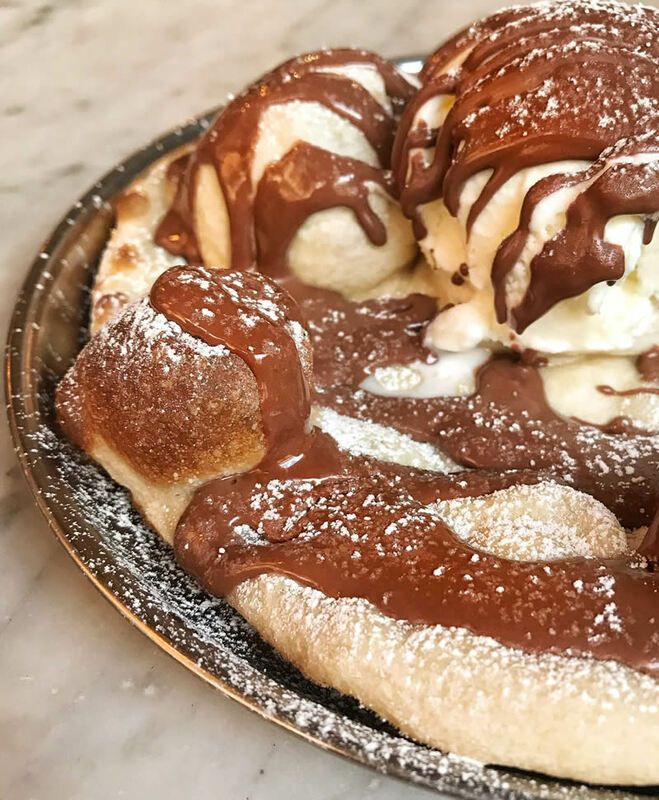 There are more indulgent treats out there, from Hummingbird Bakery’s Nutella cupcakes to Purezza’s dessert pizza topped with Nutella and crumbled Oreos. What’s your favourite? Photo Credit: @mercedeszka for Bubblewrap.